The first goal in under a minute came from a long Matt McLean Throw in on the left hand side that was headed goalward by Jordan Shelvey. It looked a goal all the way but McLeay made a superb save on his left hand side, but the keeper was out of luck as Jamie Darroch was on hand to force the ball over the line from close range. It was a disastrous start for relegation threatened Renfrew, and it was to get worse for them with only 90 seconds on the clock. Clydebank quickly regained possession from the restart, and Liam Rowan received the ball on the right hand side. He fed it along the edge of the penalty box to Jordan Shelvey. The Bankies striker spun his man opening up the space in front of himself, and he struck the ball perfectly sending it into the corner of the net. 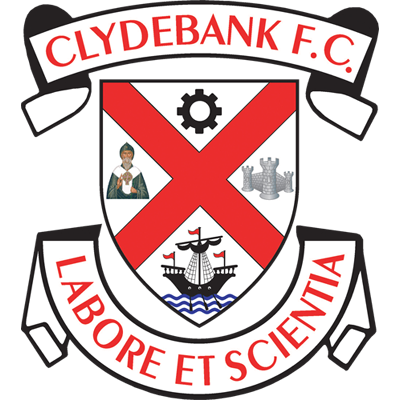 Clydebank fans expecting a deluge of goals after this fast start were to be sorely disappointed as the players turned in a very disappointing performance that was mostly dominated by the visitors. In fairness, the two early goals dictated how the match would pan out with Renfrew needing to chase everything down to try to get themselves back into the game. Renfrew’s main problem seems to be a lack of a goalscoring threat, and set pieces looked like their best avenue for success. It was from a corner on the half hour that brought their best chance of the match thus far. Allan met the ball cleanly from the edge of the six yard box, and with the goal at his mercy he powered his header over the bar. Despite not being in the match very much, Clydebank should have increased their lead before the break. McClair was sent clear on the left hand side, but McLeay beat him to the ball. However, his attempt at a clearance was charged down by the Bankies winger and flew to the other side of the penalty box. Rowan picked the ball up and slid it back across to Alexander. Unfortunately, Alexander made a poor connection with the ball and his shot barely made it to the goal. The next goal seemed to be vital for the outcome of the match. 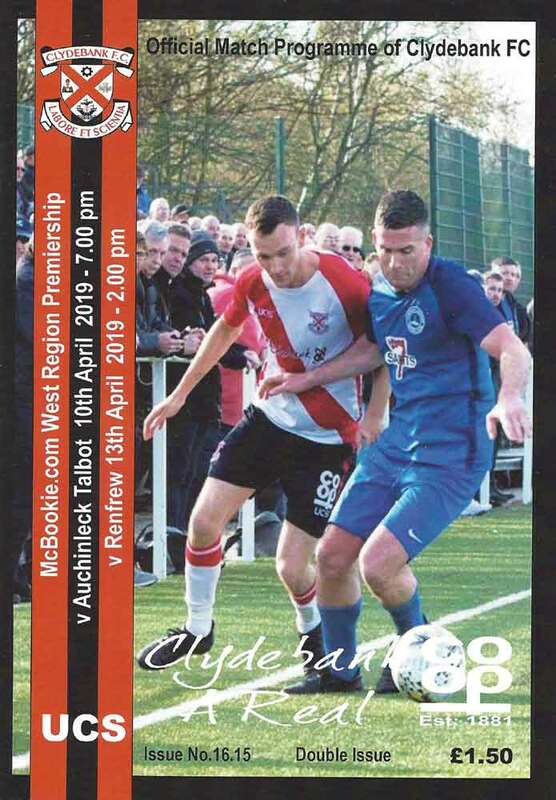 If Clydebank could grab a third then you felt Renfrew’s spark would diminish, but the visitors were knew they would be right back in it if they could pull one back. From general play the latter seemed like the most likely. Six minutes into the second half another set piece header was clawed away from under the bar by Waters. The ensuing scramble saw the ball pinging about everywhere before finally being cleared for another corner. 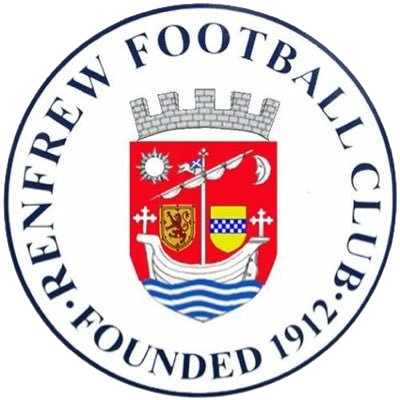 Renfrew finally got the goal they deserved six minutes later, and not surprisingly it came from a dead ball. This time the cross was sent deep to the back post where it was met by the towering Kerr Allan, and he sent a downward header past Waters and into the net. Lessons were clearly not being learned as Allan got his head to yet another corner kick. Fortunately, for the Bankies the ball flew wide of the post. The Bankies were struggling in all departments, and had they been facing a better side you would have feared for them. Kieran McAnespie appeared to be trying something different with the midfield today with Cammy McClair in a much more central position, but he appeared lost as the game largely bypassed him. The formation did not allow any width, and Renfrew were dealing comfortably with endless and aimless punts up the park. Luckily, Renfrew didn’t look like they could score from open play and they were mostly restricted to long range efforts. 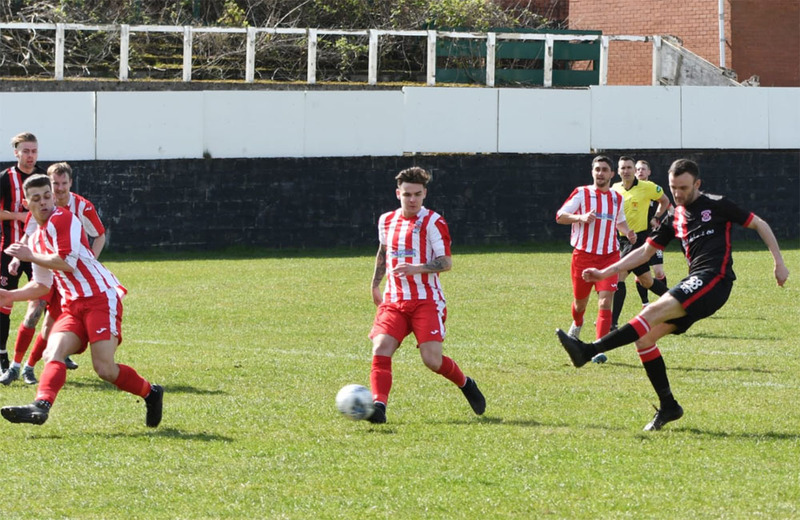 The Bankies had hardly threatened the visitor’s goal at all in the second half until four minutes from time when the game was finally killed with quite possibly the goal of the season. The ball was played down the line to Nicky Little who was tight on the touchline around 25 yards out. Spotting the goalkeeper off his line, Little hit a quite audacious lob. With McLeay in no man’s land the ball sailed over his head, and smacked off the back post and into the net for a quite wonderful strike. It was good to finally get a win under our belts, but it was another poor performance overall from the Bankies. The goal threat from Shelvey and Little will carry us through in many games, but displays like that will see us lose more often than we win. As previously noted, each passing game reinforces the need for new faces in the side for next season.